Dr. Kirk R. Davies has always known he wanted to make a positive impact in people’s lives. Improving his patients’ self-esteem and creating beautiful smiles is his passion. It is his genuine compassion towards people and his drive toward excellence in orthodontics that allows him to provide a caring and trusting environment. Dr. Davies’ goal for every patient is to achieve the ideal in tooth, smile, and facial aesthetics, health of the chewing system, and long-term stability. These factors are utilized in developing an optimal, comprehensive treatment plan for his patients. Dr. Davies was born and raised in Waukesha, Wisconsin, graduating from Waukesha South High School in 1992. He is a 1994 graduate of Valparaiso University, and graduated first in his class at Marquette University School of Dentistry in 1998. While at Valparaiso and Marquette, Dr. Davies was team captain of the tennis team, and named a GTE Academic All-American during the 1995-1996 season. After earning his dental degree, Dr. Davies received his orthodontic training at the University of Iowa Graduate Orthodontic Program, where he obtained his Master of Science Degree and Specialty Certificate in Orthodontics in 2000. Shortly after becoming an orthodontic specialist, he published the article, “Deciduous Canine and Permanent Lateral Incisor Differential Root Resorption” in the October 2001 issue of the American Journal of Orthodontics and Dentofacial Orthopedics. 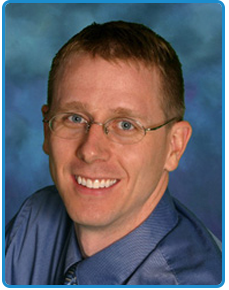 Dr. Davies is a Diplomate of the American Board of Orthodontics. In February of 2009, he completed the recertification examination that included both an oral examination and case presentation in front of the American Board of Orthodontics to maintain his Board Certified status. In 2004, he was named the SBA Wisconsin Young Entrepreneur of the Year. He also is an Invisalign® certified provider. 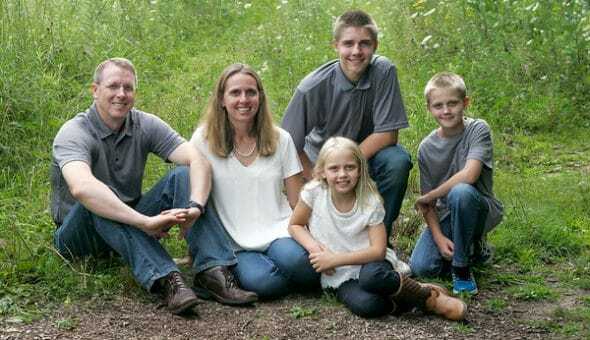 Dr. Davies and his wife, Tracy, have two sons, Kallin and Andrew; a daughter, Taylor; and two dogs, Cody and Soka. When he is not creating beautiful smiles, he enjoys reading, running, playing tennis, or playing the harmonica. Dr. Davies is a fourth-generation dentist. His great-grandfather, grandmother, and father were all dentists before him. He also has two sisters, a brother, a sister-in-law, and a wife who are all currently dentists. Dentistry and the passion to improve people’s lives runs in Dr. Davies’ family! Schedule a Consultation with Dr. Davies! Meet Dr. Davies in person and learn how personalized orthodontic treatment can improve your life! To schedule a one-on-one consultation, call our office today at (262) 542-9151. With offices conveniently located in Waukesha and Oconomowoc, WI, we proudly serve families throughout all of our surrounding communities.